I grew up eating yam and pepper soup, or plantain and pepper soup. That was and is one of my mom’s favourite meals ever. Well, that and my peanut butter chicken sauce with Chinese fried rice or noodles. Then in 2001, I went to Youth Service camp in Bayelsa. One afternoon, my friend took me to lunch and ordered for me. When my food arrived it was a plate of white rice and a bowl of fresh fish pepper soup. I watched him eat and then followed suit. 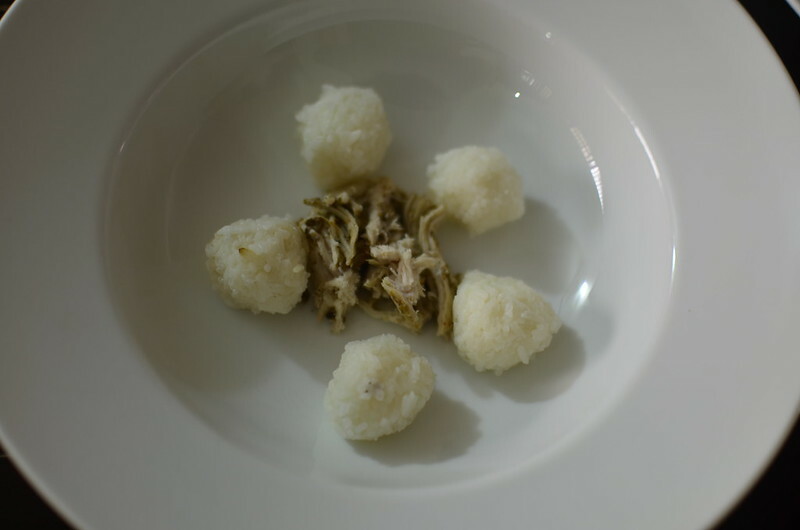 Soup was spooned onto the rice, and then eaten…with bits of fish, a little at a time. That expanded my pepper soup eating horizons from just yams and plantains to more – rice, bread and potatoes which my children also love. Though I haven’t actually made this for my mum, I intend to the next time she’s visits. I like it because you have a combination of elements which make a pretty plate. 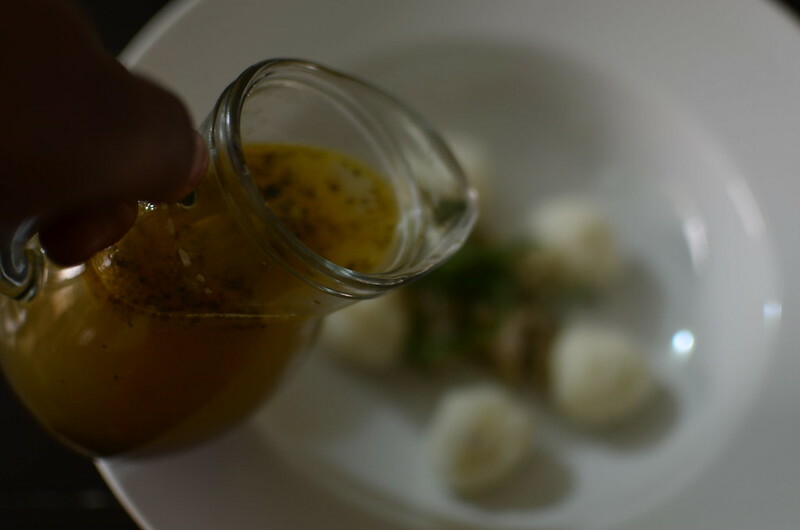 The point of this dish is to serve the elements separately, and have them assembled at the table. The rice, chicken and soup should be hot/ heated properly. Of rice. 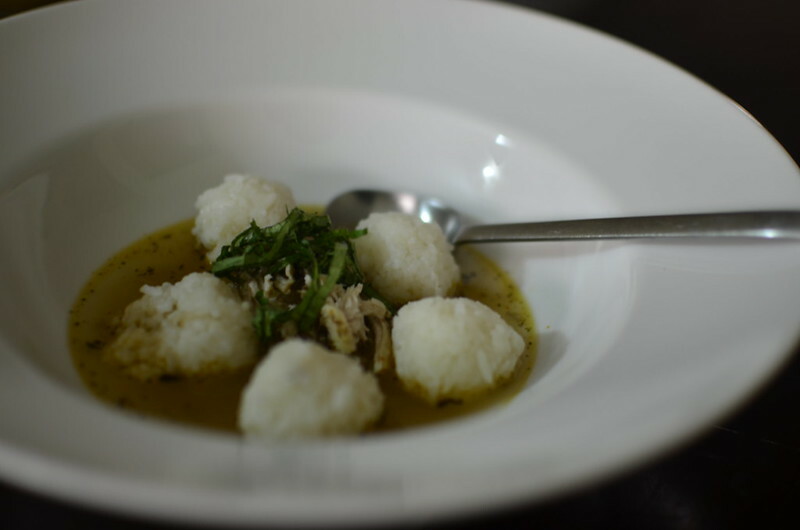 Of a Northern Nigerian recipe – one of my favourite cuisines ever to explore. 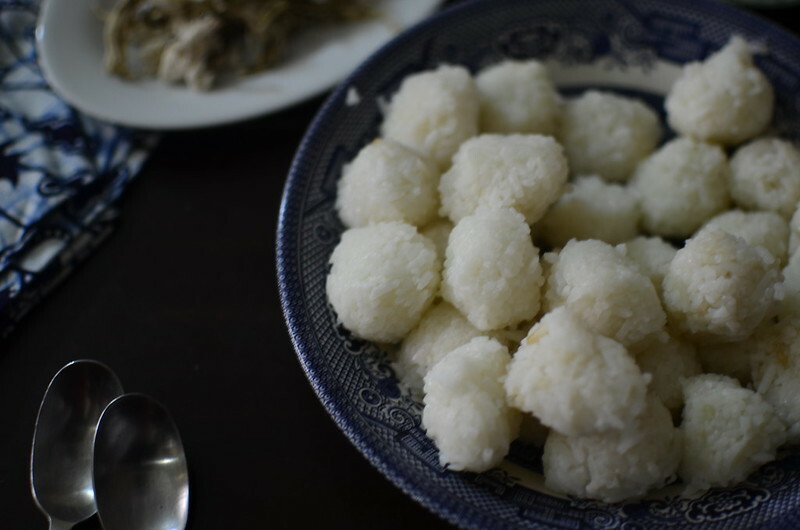 Soft, mashed rice served as a large mound (cup size or larger) or in small balls. Typically made from short-grain/ medium grain rice cooked soft and then mashed before shaping. I like to use Thai Jasmine Rice which has a nice flavour and good texture. This can be done with freshly cooked or leftover rice, heated, mashed with a small pestle or wooden spoon to activate the starches. 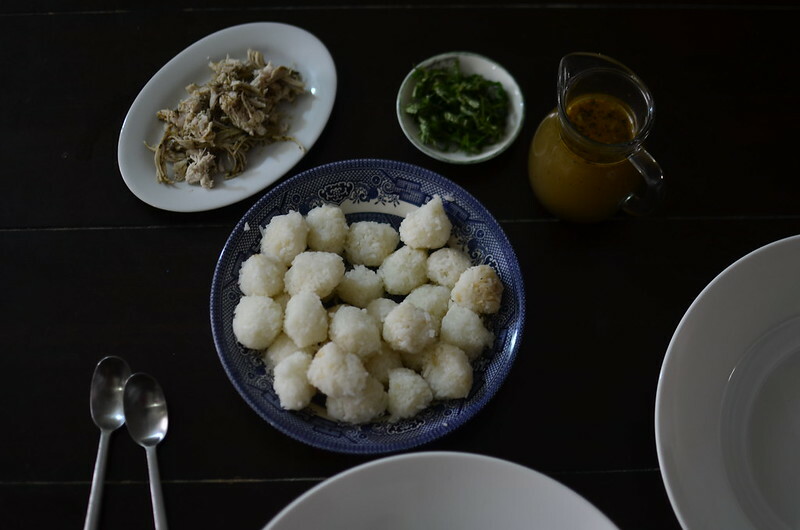 BTW, the rice balls are fab toasted in a pan, asian style; seasoned with soy sauce and sesame oil. Yum. I’ve used my age-old recipe for pepper soup. 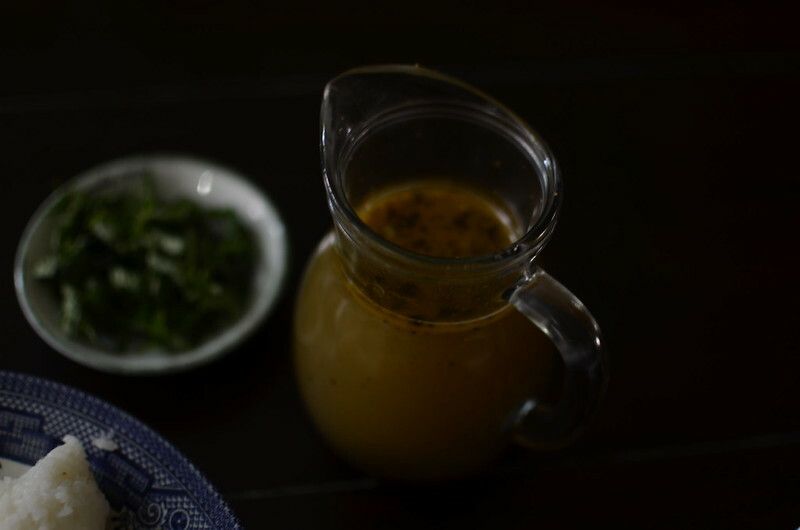 I serve it in a cute little jug. I’ve gone for chicken. I’ve shredded some poached chicken and warmed that through in pepper soup, removed it then set it aside. The ultimate in flavour as far as pepper soup is concerned. 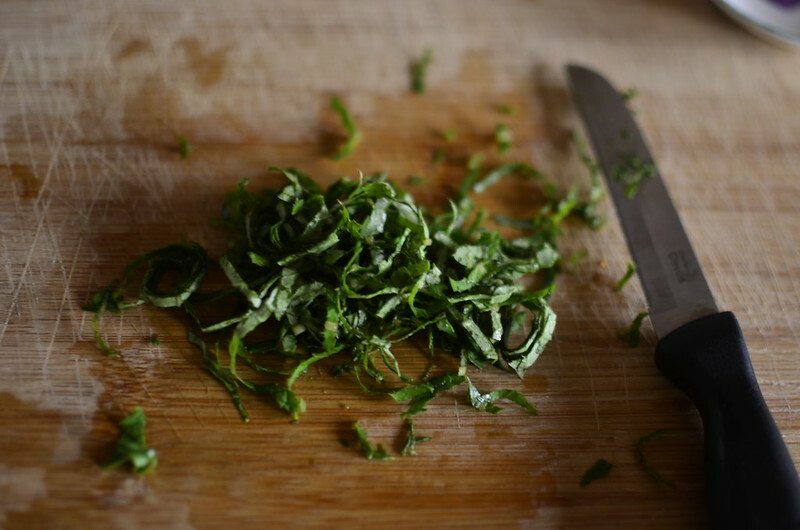 Here, a few scent leaves have been sliced up thinly and served alongside the other element. Set out eating bowls. 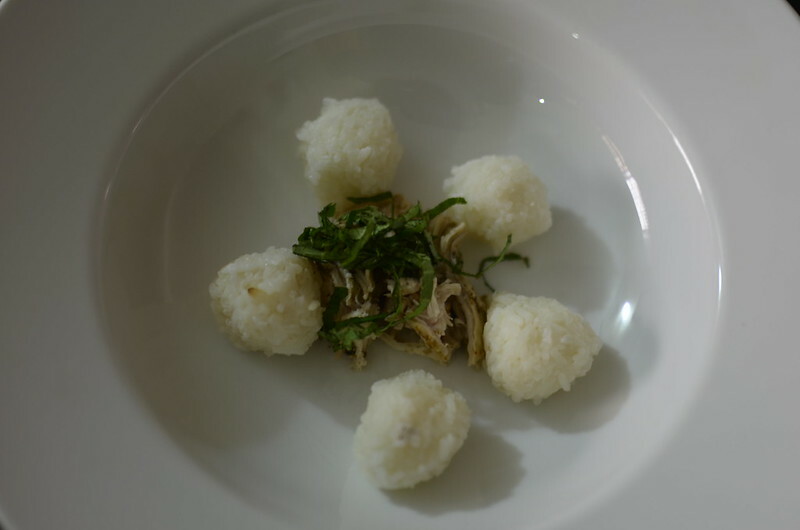 Place some chicken in the centre of the bowl and set rice balls around it. 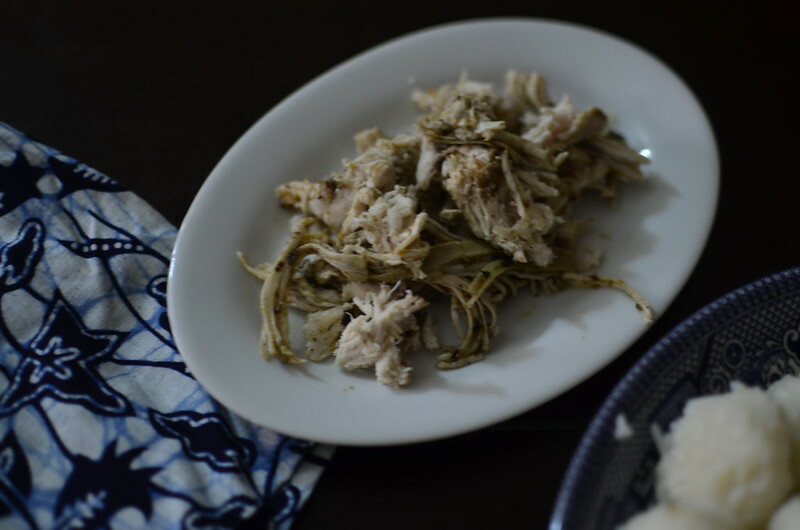 Sprinkle some shredded scent leaves on the chicken. Pour the pepper soup around the rice. Happy Mother’s day Mum and all the women who have mothered and continue to mother me.